HissTank › Compatible Military Toys › Larry Hama A Real American Creator Kickstarter Campaign Final Countdown! Larry Hama A Real American Creator Kickstarter Campaign Final Countdown! 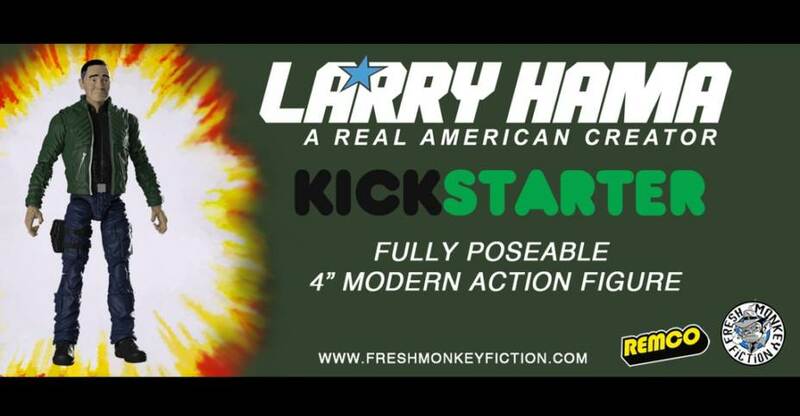 It’s the final countdown for the Larry Hama A Real American Creator Kickstarter Campaign from Fresh Monkey Fiction. With 3 days left to go, the campaign is currently at $29,378…only $622 away from the next and final stretch goal! If you haven’t made your pledge yet, don’t wait! Time is running out! You can get in on the discussion already in progress after the break!